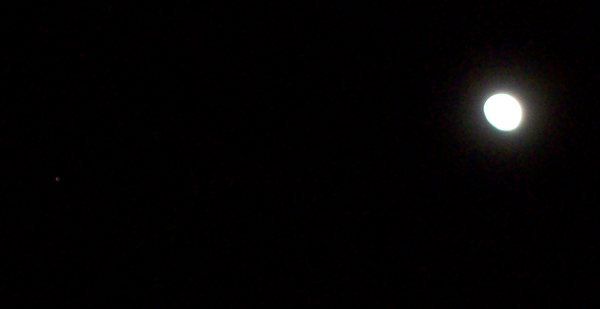 Today I took videos of both the (near full) Moon and the (little past opposition) Saturn through my telescope. This one was captured with my old Kodak EasyShare C813. A camera which I bought 3 years ago for $120. The camera that I used on Saturn is my new Casio EX-H30. This one is capable of producing much brighter pictures, which is very helpful for Saturn, but not for the Moon (when I tried it on the Moon I got just a big bright spot, but hardly any surface features recognizable). The weird movements of Saturn are partially the Earth’s rotation (when Saturn moves from right top to left bottom), and when I turn around on the scope. 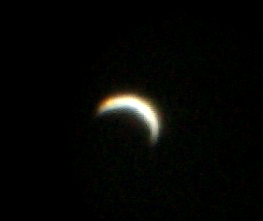 I also tried different zoom levels. 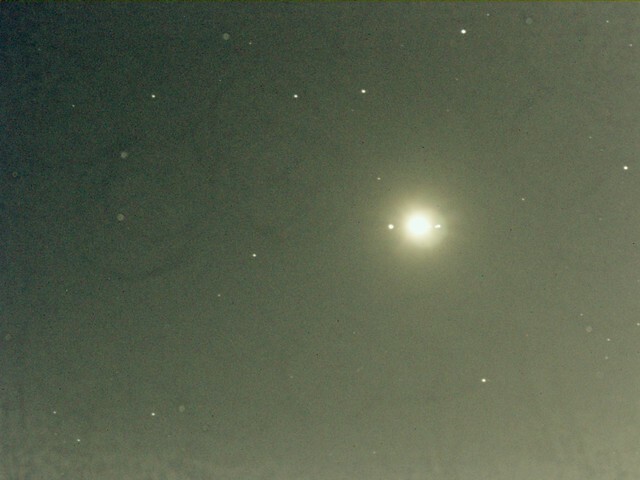 However, the more I zoomed in, the more Saturn got blurred. Saturn’s prime time for this year is already over, but the next candidate is on his way. 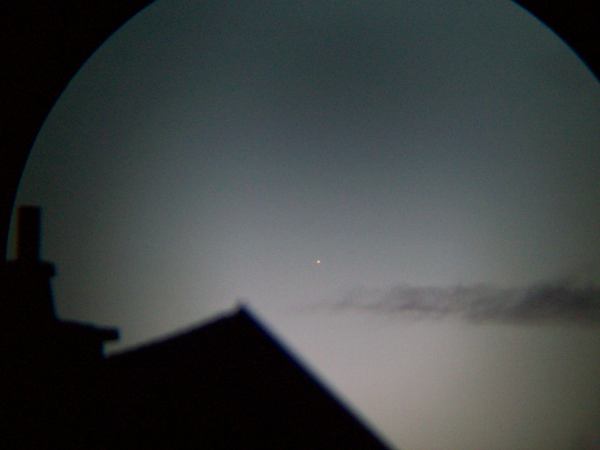 In 2-3 months, Jupiter will begin to be in a position where I will be able to take pictures and videos of it. 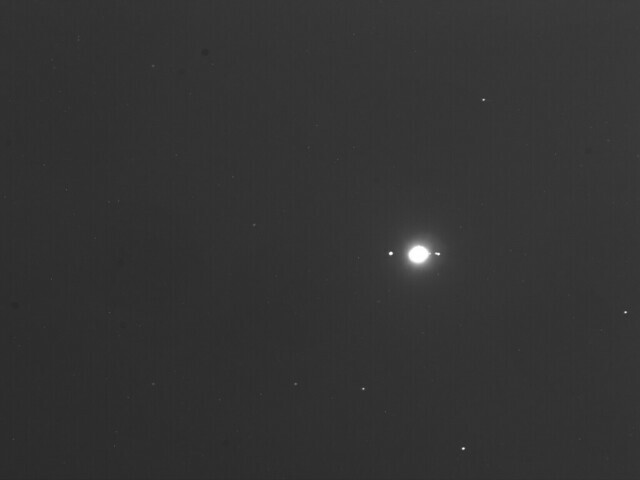 I’m excited to find out how much detail (and hopefully all of the Galilean Moons) I will be able to capture. 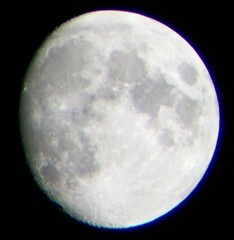 Today was not a perfectly clear night, but good enough for some observations. Recently I found that the asteroid 6 Hebe is approaching opposition and therefor makes a good observation target, so I tried my luck finding it. The source which I used was http://www.heavens-above.com/MinorPlanet.aspx?desig=6. The position where 6 Hebe was specified to be was RA 0h 30.6m, DE -14° 25′ (J2000). 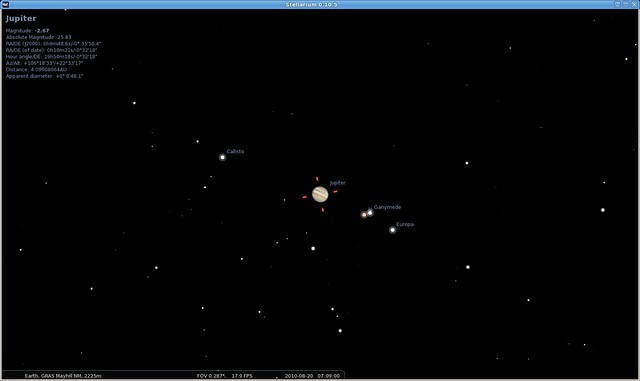 I fired up Stellarium (of all astronomical software that I know, Stellarium resembles what one can really see through binoculars or scopes the best), looked up this position, tried to find a path how to find this position (the star Diphda was a great starting point, it was easy to hop to 6 Hebe’s position from there), and searched this spot with my binoculars. Thanks to Diphda it didn’t take me long to find it. But whoops, where I expected to find 6 Hebe, there was nothing. 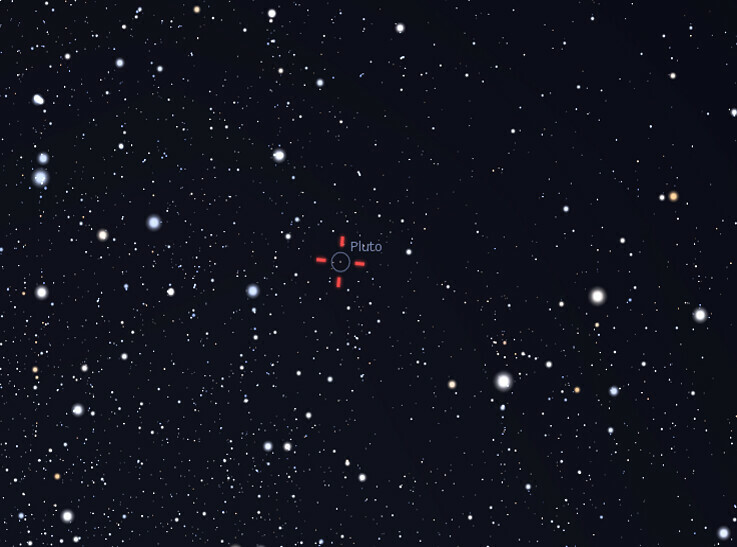 Instead, just a little bit further to the left there was an object just as bright as 6 Hebe was supposed to be, and according to Stellarium, there was no star of this brightness at this place. So was this 6 Hebe? I pretty much thought this has to be 6 Hebe, but it was basically just a guess, I had no evidence to support this. What could I do to know for sure (or at least as sure as I can be)? 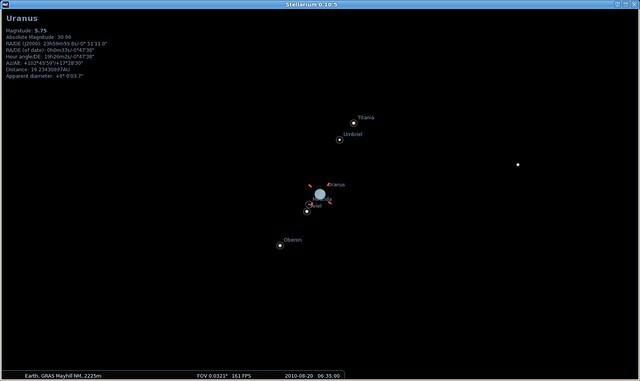 I remembered NASA’s HORIZONS Web-Interface which allows to track basically every solar system object which is known. 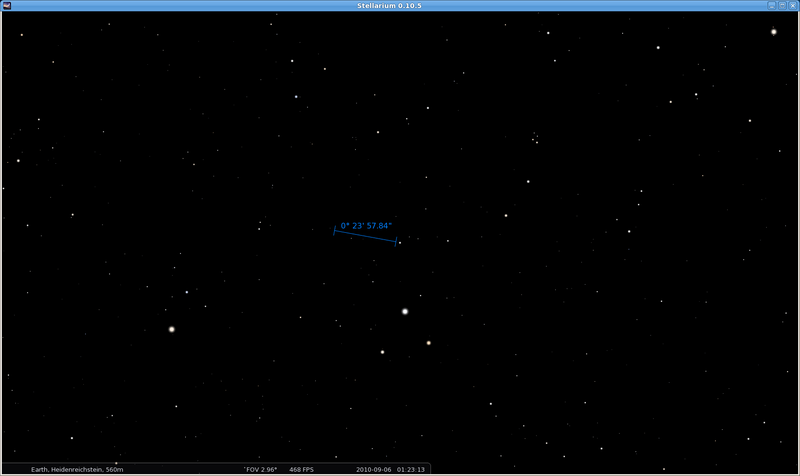 There I found that its supposed position is RA 0h 31.47, DE -14° 21′ 11.8″ (J2000). 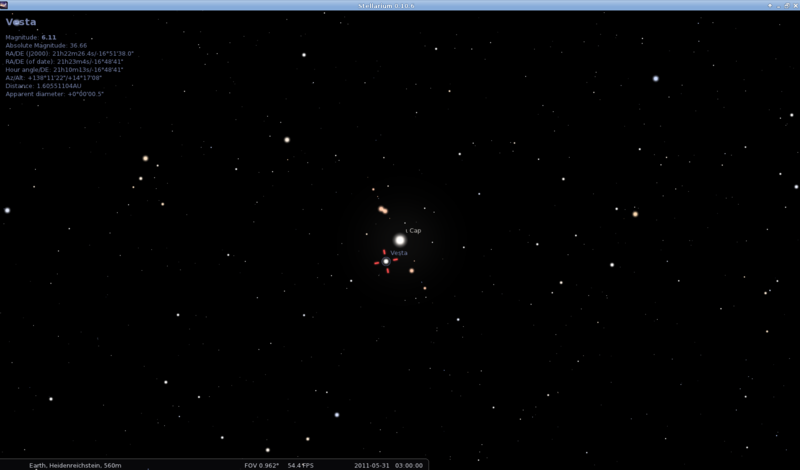 I checked this spot in Stellarium, and voilà – that was exactly where I saw the object which I thought must be 6 Hebe. Evidence enough to confirm. On the right end of the blue bar is the spot where I expected 6 Hebe to be, on the left is the spot where I actually found it. 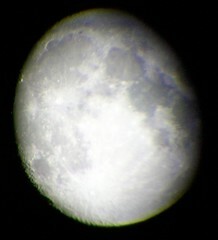 So the discrepancy is around 20-25 arc minutes, or ~ 2/3 of the diameter of the Moon. 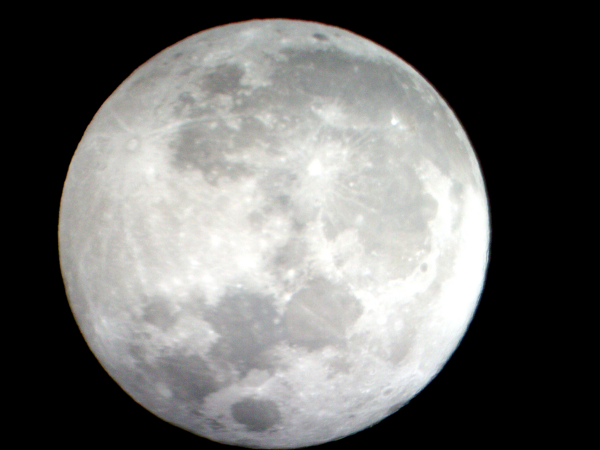 There are some web-based observatories which allow normal people like you and I to rent a telescope somewhere on this planet for a short period of time and quite reasonable amount of money, to take some pictures. Not only is the available equipment superior to the scopes that many people have at home (at least to me this applies for sure), these scopes are most often located on very favorable places up on a mountain, far from city lights and likely good weather conditions. One of these web-based observatories is Global-Rent-a-Scope or short GRaS, where I made my first steps. They have telescopes in Australia (which adds another advantage: you can take pictures of the Southern Sky, even if you live in fairly high Northern Latitudes; this is also true the other way around of course), Spain (this one is relatively new) and the one which I’ve been using for my tests so far, Mayhill, New Mexico at 32° 54′ 3.60″ N, 105° 31′ 26.41″ W.
You can also view the original Pluto image of August 23 and the original Pluto image of August 27. 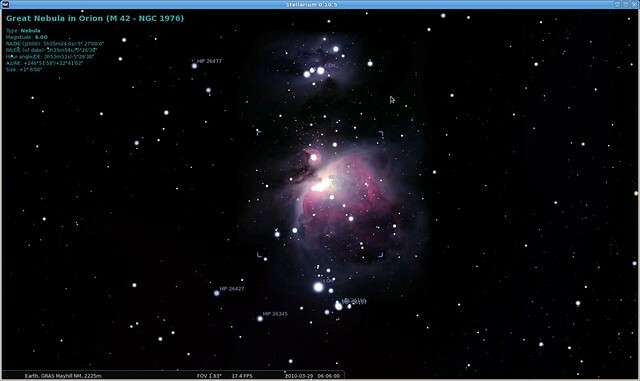 The unedited Stellarium screenshots are also available, for August 23 and August 27. This is something which I could never do with the binoculars and the telescope which I have at home. Pluto, with a magnitude of around 14, is beyond my capabilities (whether it's limited by my technical capabilities or just my skills is yet to be found out). 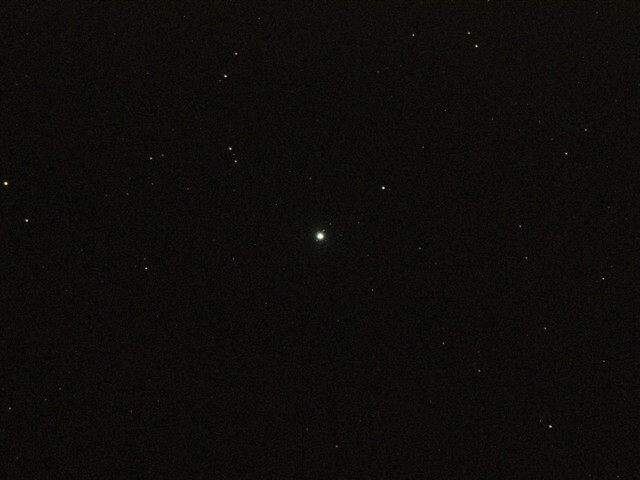 Here are some more images which I have taken through scopes provided by GRaS (all in Mayhill, NM). 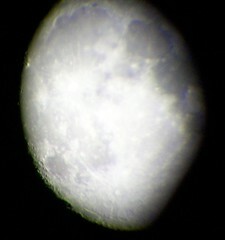 I took new pictures of the Moon (on August 21, 2010). They were taken through my Omegon Nightstar 25×100 binoculars. There are more at http://www.flickr.com/photos/mpopp75/tags/moon/. A cloudless night sky is truly amazing, but have you expected to see a dolphin in the sky? 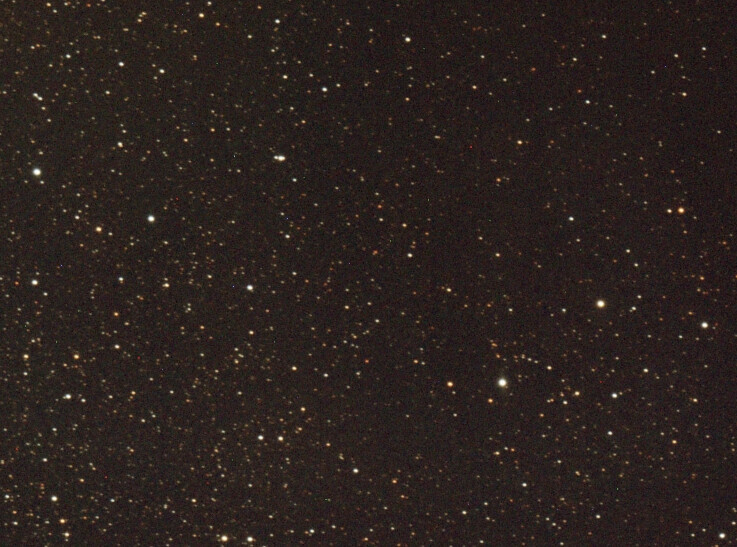 What you see here is the Summer Triangle (all Southern hemisphere residents, please apologize), but did you notice the group of stars left to Altair? This group of stars is the constellation named “Delphinus” (as can be guessed easily, it’s the Latin word for Dolphin), which can be observed best at almost all latitudes around late spring and early summer (in fact it can be seen almost around the year, but that’s the time of the year that you find this constellation highest in the sky). So what is this all about? You may have heard that 2009 is the International Year of Astronomy. 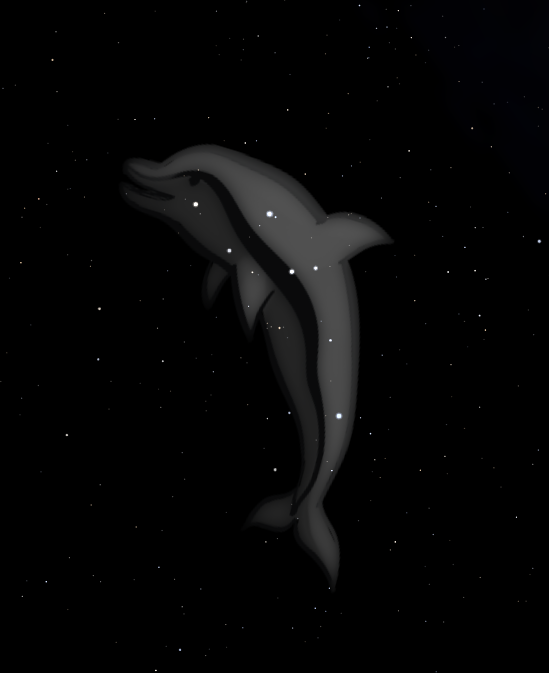 So there is astronomy, there is a dolphin and we all know that a dolphin (named Sakila) is the mascot of MySQL. Can that be brought together? Sure thing! Hereby I declare that my contribution to the International Year of Astronomy shall be a series of articles that combine the fun of astronomy with the fun of MySQL. 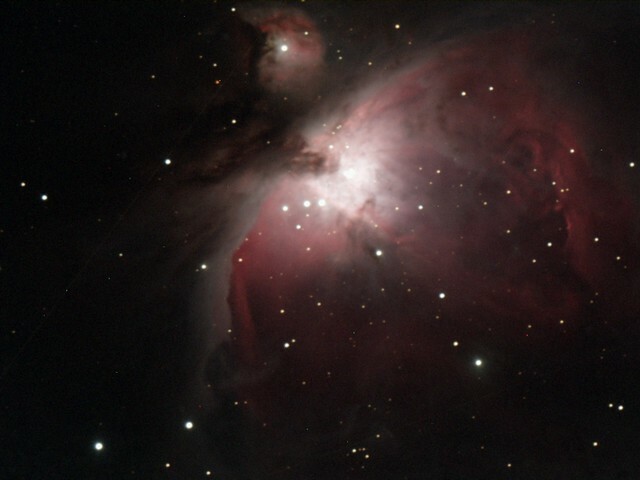 I am by no means a professional astronomer, it is only a little more than a year that I intensified my interest in astronomy (which had been dozing inside me all my life). 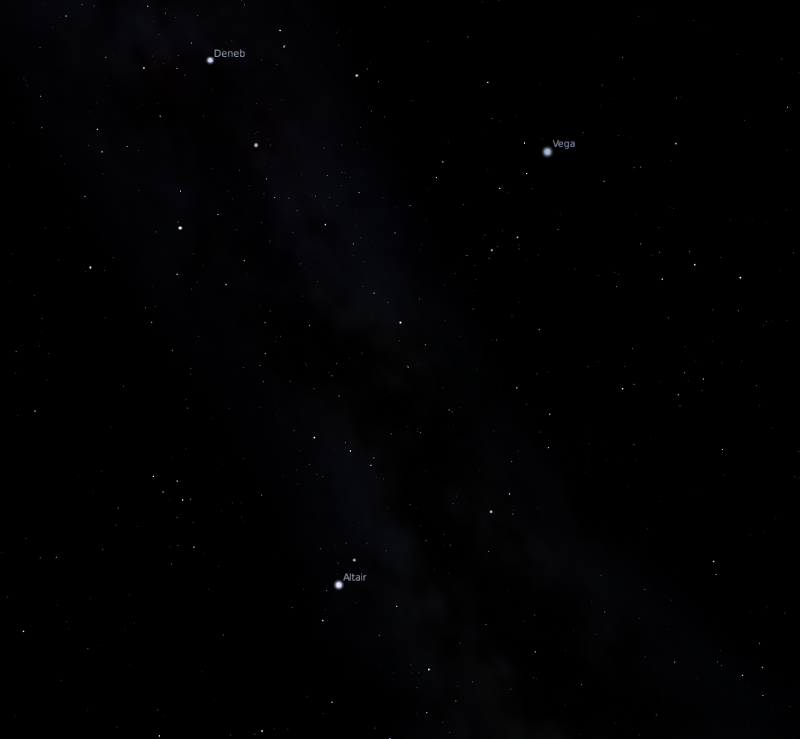 What ignited the fire was that I stumbled over some great software, and I’d like to especially mention Celestia and Stellarium (Stellarium being what created the 2 images above). Now prepare for the good news: they are free (not only gratis, but Open Source as well) and available for Windows, MacOS and Linux (chances are good that your distribution includes them already). By installing them and exploring all their features (don’t forget to download the manuals! … they have a huge amount of functionality almost too much to discover all on your own) you are making the first big step into this fascinating world! You don’t need much to do astronomy. A PC (or Mac), some software, an Internet connection (have I mentioned Wikipedia yet?) and a pair of binoculars will do. No more do I have. And chances are good that you have them as well. If you live in a big town or city, you may want to find an observation spot a bit outside of the urban area. You probably won’t need to drive hundreds of kilometers or miles though. 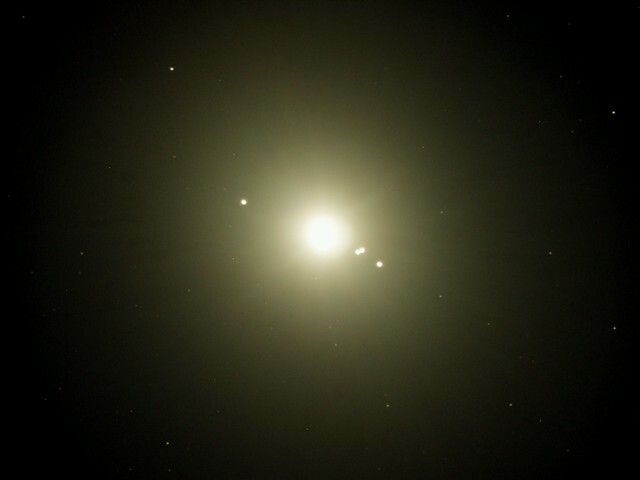 I live in a small town (with plenty of street lights nearby) and can still spot celestial objects and features such as the Saturnian rings, Saturn’s moon Titan, the Galilean moons, all planets, some asteroids and dwarf planets such as Ceres, Vesta, Juno, Pallas or Nebulas, Star Clusters and Galaxies only with binoculars, all from my backyard. 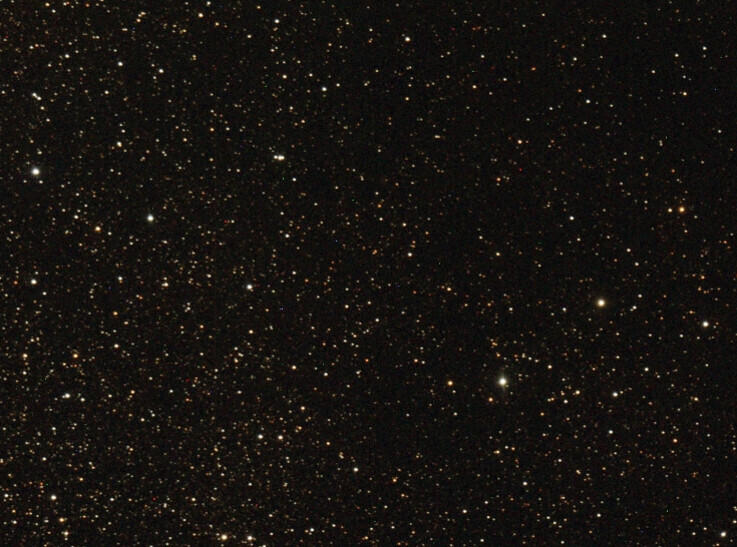 Don’t let more advanced astronomers who spend thousands of bucks for their hobby scare you. You need much less to get started, but if you like you can of course expand your budget without boundaries. Watching the sky is only part of the fun. Many things are often observed but never much thought about. For example, have you ever wondered why in winter the moon is much higher in the sky than in summer? By getting involved in astronomy, many things like these become crystal clear and help you to get a deeper comprehension of the incomprehensible (imagine billions of galaxies each containing billions of stars spread across billions of light years). But there are even more interesting discoveries awaiting you. Did you know that you can calculate the position of any celestial object based on its coordinates for exactly your location for any time? Sure you know that it’s possible, but did you think that it’s fairly easy if you have some hints available? 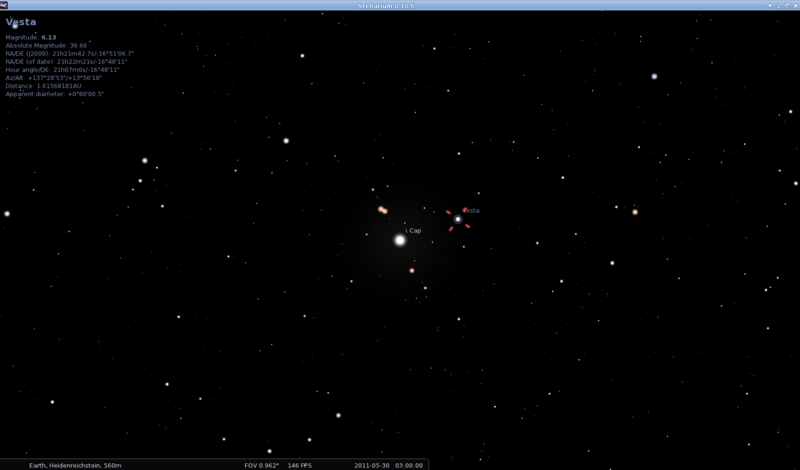 Much of astronomy is about data and mathematics and where data comes into play, there is also a playground for MySQL. Here is where the circle closes, but stay tuned for more exciting articles to come.